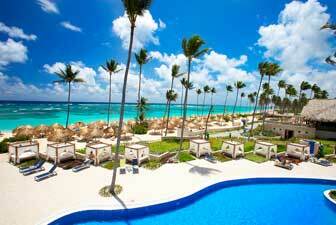 Many resorts in the Punta Cana area, on the eastern tip of the island, are all inclusive properties. 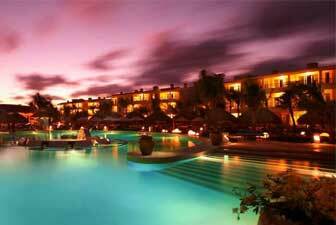 That means that for one price, you can enjoy accommodations, meals, many activities and other included features. The region's endless white sand beaches lined with tall palm trees are exquisite. 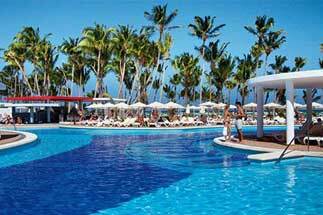 As a large-scale seller of Punta Cana resorts and Punta Cana vacations, we are able to offer you unbeatable prices and unparalleled value. 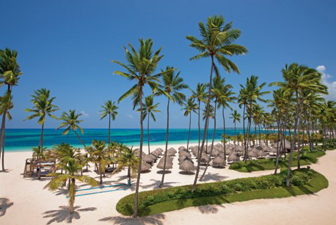 Once you have found the discounted Punta Cana resort of your choice, please call our resort consultants at 1-800-340-8612 to book your vacation and save money with our first-rate personalized service! 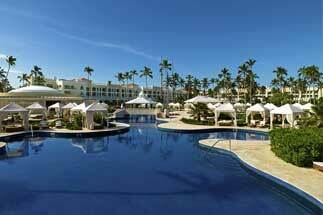 Book your Punta Cana resort today with AffordableTours.com, your discounted resort headquarters. 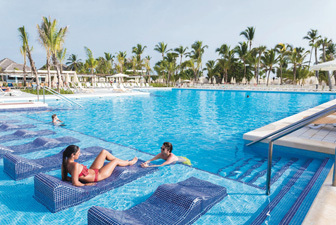 The very latest addition to the outstanding resorts in Dominican Republic, Riu Palace Punta Cana achieves an even higher level of luxury, comfort and beauty. 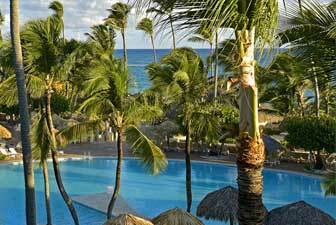 Location: East coast of Dominican Republic, 50 minutes from the Punta Cana International Airport. 75 minutes away from La Romana International airport. 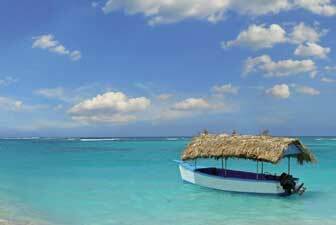 East coast of Dominican Republic, 50 minutes from the Punta Cana International Airport. 75 minutes away from La Romana International airport. 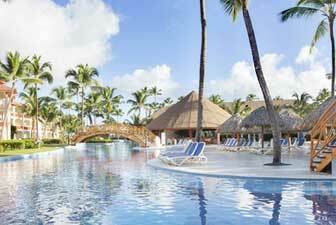 Right on the beach of Arena Gorda, Riu Palace Bavaro is the new Riu hotel in Punta Cana. You can enjoy this resort and Riu service quality, the comfort of a Palace, beaches and sun at this wonderful Caribbean destination. 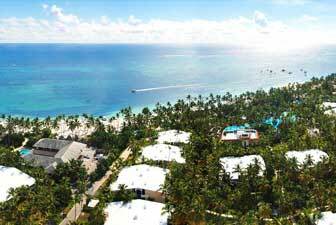 Location: The hotel is located right on one of the most beautiful white-sand beaches of Bavaro, in South Eastern Dominican Republic. 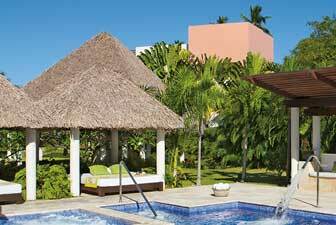 Only 35 minutes away from Punta Cana International Airport. 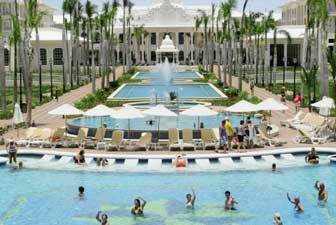 Location: The magnificent, all-inclusive Hard Rock Hotel & Casino Punta Cana is located on Macao Beach, one of the most beautiful beaches on the easternmost tip of the Dominican Republic, just 17.6 miles from the Punta Cana airport. 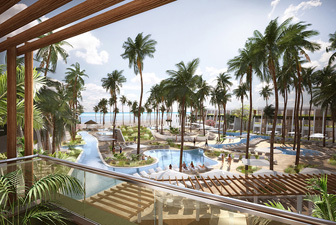 Located on one of the most beautiful beaches on the Eastern - most tip of Dominican Republic, this new all-inclusive property offers luxurious accommodations and extravagant resort amenities to create a spectacular haven from care. 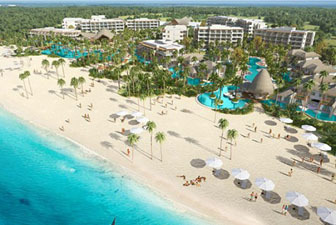 Location: Majestic Elegance Punta Cana is located in front of Arena Gorda (Playa Bavaro), considered by many guides as one of the best beaches in the world. 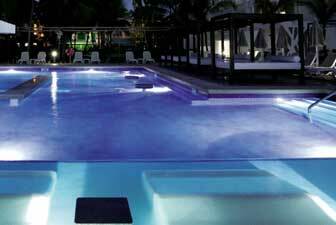 The resort is just 20 minutes from Punta Cana International Airport, 45 minutes from La Romana International Airport and 1 hour and 50 minutes from Las Americas International Airport. 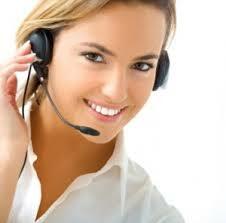 In addition, the capital Santo Domingo is also easily accessible, only being 2 hours drive. 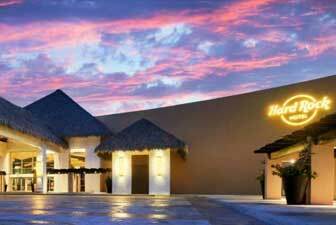 The perfect Resort for the sophisticated guest looking for elegant and stylish accommodation with a superb selection of amenities and services. 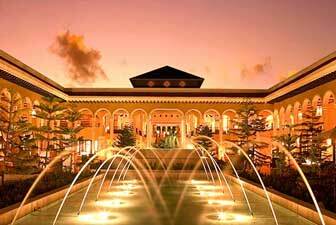 Riu Palace Macao is the crown jewel among Punta Cana's exclusive resorts. 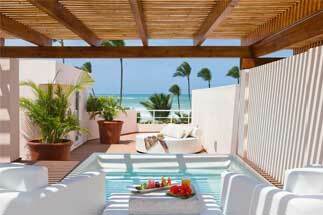 Location: Situated on the beautiful Bavaro Beach on the south-east coast of the Dominican Republic. 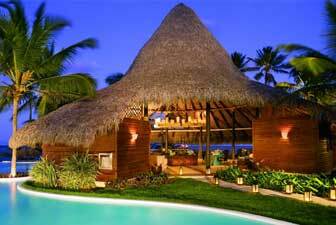 Rooms are in two story bungalows all with two levels surrounded by exuberant tropical vegetation. 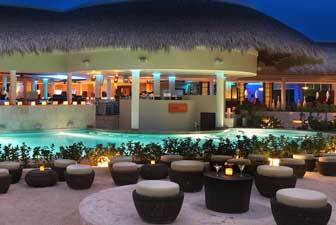 This hotel is ideally located on the pristine, palm fringed beach of Punta Cana. 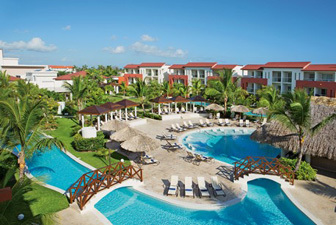 Location: Situated on the beautiful sun drenched sandy shores of Playa Bavaro. 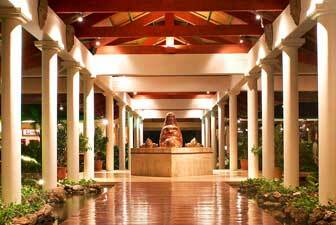 Located on the southern coast, approximately 35 miles from Higuey, this hotel sits on the palm lined beach of Bavaro. 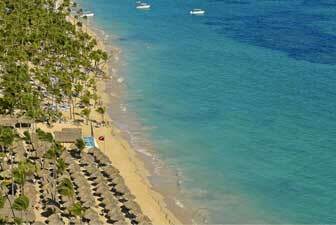 Location: Directly on a wide,sandy beach of Playa Bavaro, on the southeast coast of the Dominican Republic. 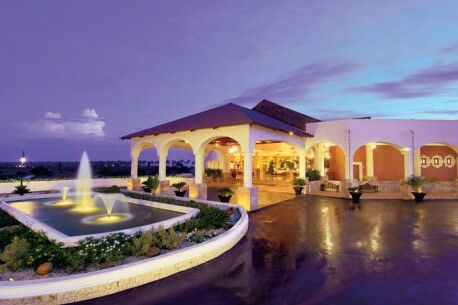 Located on the southern coast, approximately 55 miles from Higuey, this hotel sits on the palm lined beach of Bavaro. 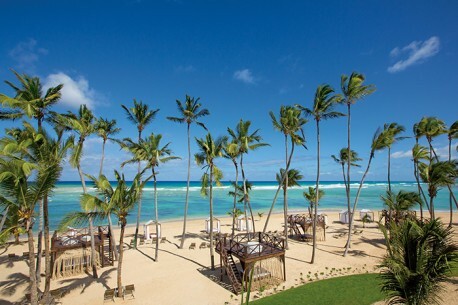 Location: The Majestic Colonial Punta Cana is located in Arena Gorda (Bavaro Beach), in front of which is considered one of the best beaches in the world by millions of travelers. 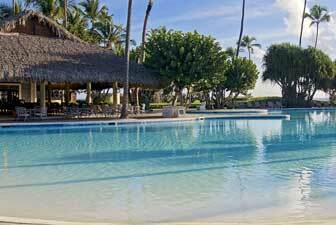 The resort is just 20 minutes from Punta Cana International Airport, 45 minutes from La Romana International Airport and 1 hour and 50 minutes from Las Americas International Airport. 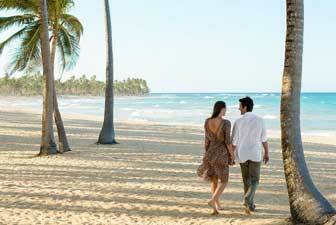 The historic city of Santo Domingo is also easily accessible by road, being only 2 hours away.